Click here to shop new floorplans available in your area. 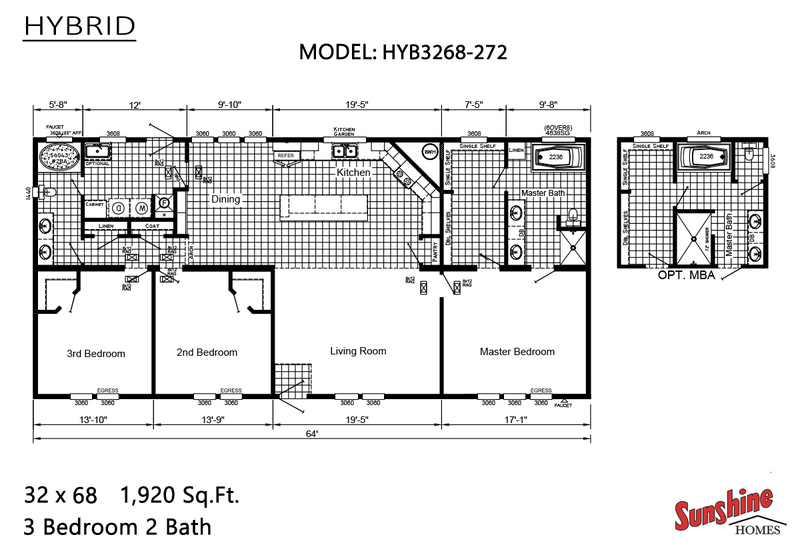 Contemporary in design and stylish in nature, the Hybrid HYB3268-272 is a three bedroom, two bath home with a large living room and arched entry leading into its masterfully designed kitchen and dining area. The master bedroom enjoys an oversized master bathroom that's been thoughtfully designed and finished with modern amenities.